One of the biggest changes I have dealt with this year was going from a classroom with 2 classroom paraprofessionals to 5 one-to-one paraprofessionals. It's great to have support...but I had (and still have) a lot to learn about managing so many adults in my classroom. Here's some things that I have learned and am working on with my classroom aides that I hope might also help you in your paraprofessional relationships! 1. Give positive feedback - This is important to do as early as you can so that you can establish a good rapport with your staff. Find something that they do well, and let them know! And better yet, let your principal/district chair/supervisor/their boss know as well. I have sent emails to my district chair and then she forwards them onto the aides with a message like "keep up the good work!" People in general like to be recognized and it's important that we do this for our staff members as well. After sending these emails, I have noticed these staff members work even harder, which has been awesome! 2. Schedule meetings - I have planned very informal meetings to meet with each staff member individually for a few minutes after the students leave every other week. Our students leave at 3:00 and the staff stays until 3:15. This is really the only time we have without students and they usually use this time to check their emails and such, so I was a little nervous to ask them for this time. However, they were totally on board and I try to make these meetings very positive and give them time to ask questions and brainstorm ideas about their individual student. This is a great time for them to let me know what is going on with their student that I might not see or any other ideas that they have. I learn so much from my paraprofessionals when we have this time to talk! We also review IEP goals to remind the staff why we work on the skills that we work on. 3. Give directions and Explain yourself - Your classroom aides are not mind-readers. Plus, they likely don't have the experience and education that you have had. As the teacher, you know what your students need and the strategies to use to help them learn. Show your staff members how to work with their student and then watch them in order to provide feedback. Make sure you are working together. Then when you have time (maybe in your bi-weekly meetings) explain why you are using the strategies you are using and why you are asking the staff to respond in that way. While not always necessary, explaining why you are asking staff to do something a certain way sometimes helps them realize the important of doing it your way and not how they think it should be done. 4. Discuss and Document - Unfortunately, there will be situations where you have to correct staff due to inappropriate classroom behavior or even just minor student programming. If you have established a positive relationship with your staff members, hopefully they will listen and it will be an easy conversation to have. Honestly, I never thought it would be easy to have conversations where I tell staff they need to change what they are doing, but with some of my staff we have that relationship where they actually appreciate the feedback I give! However, I have staff where the conversation is a lot harder to have, but the conversations need to take place because it's in the best interest of the student to get those situations corrected. Before I have a conversation, I find it's good to have specific examples of what I am talking about. I usually write them down so I can refer to them if I get nervous and if staff becomes confrontational. After the discussion, send an email with the reminders so they can refer to it and you also have written documentation that the conversation took place. If issues continue to happen, make sure your aide's boss knows what's going on and what you can done to try to correct the situation. 5. Show your appreciation - Write occasional thank you notes. (I have that on my to-do list for this week!) I've given my aides packs of gum as a simple "I appreciate you" gift. If your school does anything to celebrate administrative professionals day (April 23) be sure to contribute, or do something yourself! It can be a simple box of doughnut holes. It really is the thought that counts. 6. Keep it Positive - Don't vent to your aides about problems going on in the classroom, whether it be administration, other staff, students, or parents. Your attitude has a huge impact on your classroom's aides attitude. So, just like we all do with our students, sometimes we have to fake it until we make it! Or at least just keep our mouth shut :) You want to keep their morale up and negativity doesn't help this situation. I put together an entire handbook for my assistants prior to school starting that dealt with schedules, expectations, what the job entails, and a bunch of other stuff. It's a freebie on my blog. The reason I did this was that I was starting a brand new program with brand new staff and I wanted us all to be on the same page. So far this school year has been fabulous as a result. It's so important to work as a team, and if you don't have that mentality, it can be a crappy year for everyone. I learned this the hard way. I also document everything if there's a problem so that there's a record I can present to their supervisor. A positive thing I do is to let the Paras have some control, such as running a center, even if they are one on ones, so they have ownership over what is happening in our class and with our students. Great post, thanks!! Wow Jannike! That sounds awesome. I will have to check that out for sure. I also have given my paras a lot of control, because my class is pretty much run 1:1 all of the time and I have seen an increase in their motivation with that for sure. I should have worked on that better when I had classroom aides and not as many 1:1s. Great ideas! Thanks for sharing. I have teachers fill in a year end evaluation of paras working with them. I also ask paras to fill in a feedback form. The honest communication is so important, but I have to admit this is one of the most challenging parts of the job for me. Yes! We do this at our school too. This is so helpful when everyone is honest. You are the best blog that I have ever subscribed to! You speak right to my heart <3 While I have been a manager for past jobs, managing paraprofessionals is still going to be a learning experience, and I appreciate all the tips! One thing that I thought of was inspired from some TTAC training we attended last year: a parking lot for questions to address at a later time. I thought it would be interesting to have the same idea in the classroom. I would have small part of a bulletin board or something next to my desk (teacher area) called the "parking lot" where paras (or myself) can write down something we want to discuss with the team when it's more appropriate. This could be anything from ideas about a student to ideas about the team. I haven't put this into place yet, but I will be next year! Laura - you just made my day. You are so sweet. Thanks for saying that and motivating me to continue posting stuff for all of you wonderful readers!! I love that idea of a parking lot! A lot of times my aides have great ideas but class time can't be the time to talk about that. I will definitely think about working that into my class next year as well. Maybe a clipboard? Thanks so much for sharing that idea!!! Thank you for this great advice! I find that there are times where having a paraprofessional can be a blessing or a curse! You said it so nicely! You are very welcome Jenn! That's so true. Thanks for leaving your blog link, headed over there now :) I love finding new teacher blogs!! Thank you so much! I was just talking with my supervisor yesterday about problems with my paras. I will definitely take some of your strategies (and some others I see here in the comments) and put them to use. Thanks again! Please know that some paras have more experience in the classroom than freshman teachers. Not every para is difficult and in need of "constructive" criticism. I'm feeling some unappreciative vibes from this thread, so thanks Tina Oliver for your positive praise. At my school paras are greatly appreciated. The teachers realize that we can make their jobs easier. I have more classroom experience than the teacher I work with, and she uses my skills in a collaborative way that makes me feel useful every minute I am in her classroom. I have been extremely lucky that all the teachers I have worked with have made me feel comfortable and have taught me so much. I'm feeling it too. I know without a doubt that I'm a huge help to the classroom. There must be communication and mutual respect. The teachers I work with rely on me every day and tell me often how much in appreciated. The picture posted above about paras just sitting next to a student was inappropriate. Paras who just sit around most likely have never been given direction on what is needed. We are not mind readers and we are there because we love kids and want to be helpful. I have been both a Para and a teacher in the classroom, so I understand both positions, which are quite different from one another. I currently have 3 Paras in my classroom that are a godsend. I truly couldn't do my job without them. They are like you, very hard workers and they deserve much respect! Ihave been lucky enough to have had a number of high quality Paras in my room over the years, where we worked together as a team, and those years have been some of the best in my career. But I have also had Paras that took my students to the welfare office when they should have been at a job site, or took them to their house to clean it, again when they should have been to a job site. Or would come 30 minutes late everyday, or be gone for lunch for a couple of hours, frequently ( no reason supplied). Or would refuse to fill out the data sheets for students despite being shown exactly how to do it multiple times. Or would refuse to follow my instructions for a student. No input on what might work better, just plain refusal. I have been told, " I don't have to listen to you, you can't tell me what to do". I have had my 4 tires slashed by one Para that was caught on camera. I don't have time to teach people how to have a good work ethic. If I see people are trying, or they have serious home life issues, I can be really understanding because stuff happens. But we are there to do a job and that is to educate students and I need people who are willing and able to do the job I need them to do. In my district, all you need to be a Para is 2 years of school (or the other 2 requirements) and some job experience with children. There is no requirement for having worked with kids with disabilities, and there is no training. I sometimes get Paras who are scared to death and the person who has to do the training is me. Some thought it would be an easy Hoi, and it isn't. 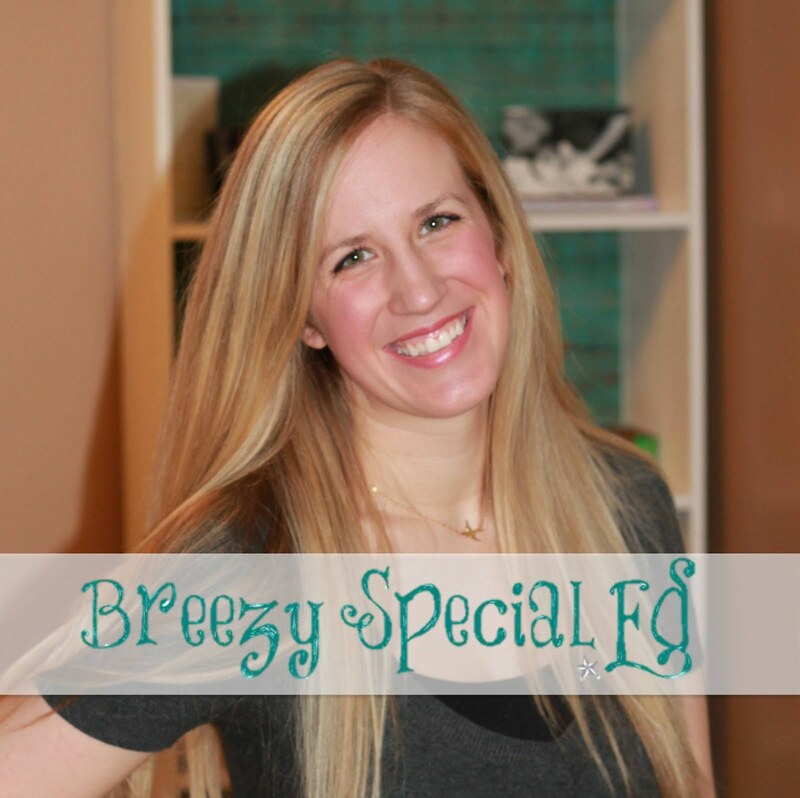 For someone in my position or for a brand new teacher, Breezy's advice is right on and is very helpful. If we are lucky enough to have someone like you in our room, then this advice is not needed. But often it is. I have found that some teacher take advantage of paraprofessional. The teacher leaves the class a lot or on phone. But nobody does anything to a teacher but if a service personnel it's another story. 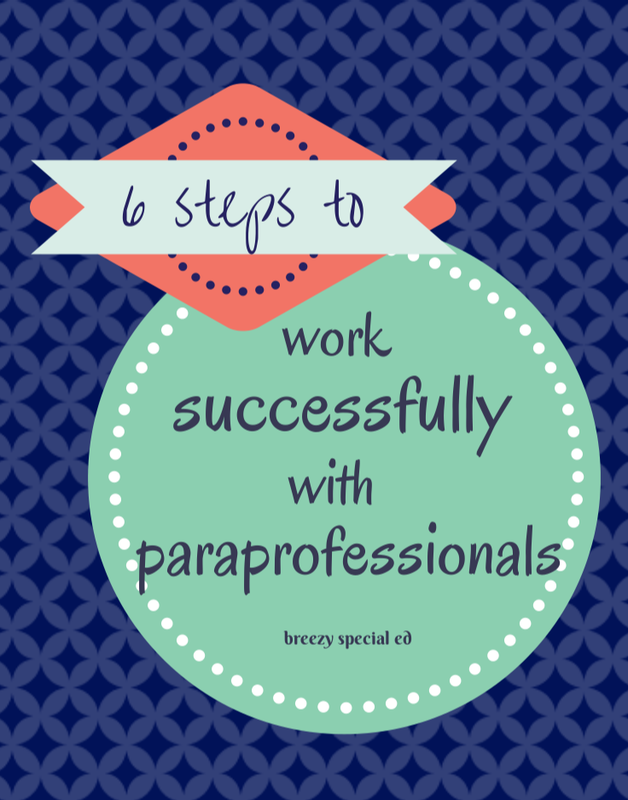 As a para, I have worked with two different teachers. One was great and thankful for my extra help. I would always come in early and stay late if I was needed to. The other took advantage of my willingness to go the extra mile and by the end of the first year working with this teacher I was made to write all daily school/home communication notes, do all of the scheduling, document work done on IEP goals, and even fill out the lesson plans everyday. I was also expected to make token boards and write social stories when we needed them. This teacher basically sat at her desk and barked orders at me and the students. These were tasks I was responsible for not including my normal job duties of taking students to inclusion, getting students on and off the bus, restroom, lunch, and recess duty. I didn't get my own lunch or a break throughout the day. Every time I came back the group of students that weren't with me would either be on iPads or watching a story on Bookfkix. When me and the other para brought it to the attention of our superiors they basically said it didn't matter because our class ran well. Our class ran well in spite of the teacher not because of the teacher. Thankfully, this teacher is moving on to a new position and I am hopeful that I will once again be back to working with a teacher who likes kids and likes to teach. Oh my goodness. That's awful. I'm so sorry you were in that position and didn't have a supportive teacher. That's definitely not fair. You were totally doing teacher work! Have you considered going to get your teaching degree? I bet you've be great as a teacher (especially because you were basically thrown into that roll!) Despite the unfortunate situation, I am glad the students had someone like you to help them! :) I hope you get into a better classroom next year. there is almost no difference in working with para-people. They are the same as all the people so dont show any special treatment or smthing else. It only makes them angry!